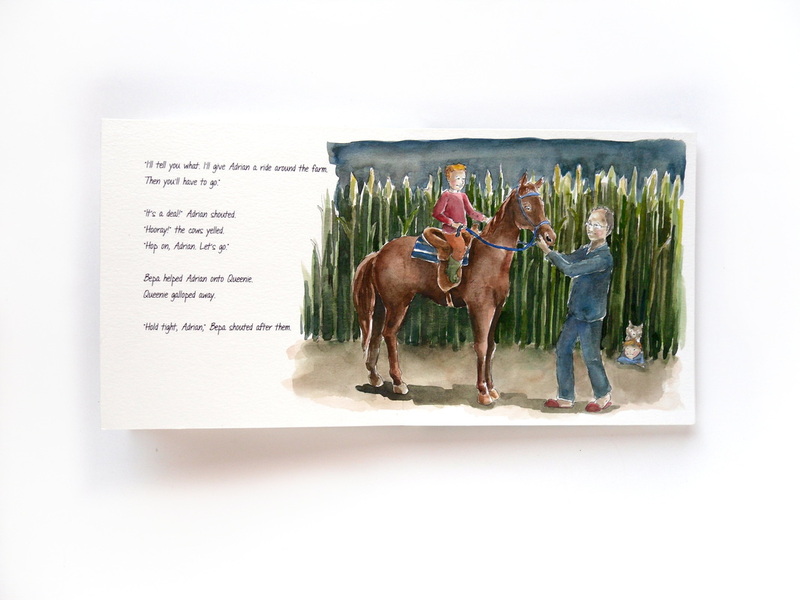 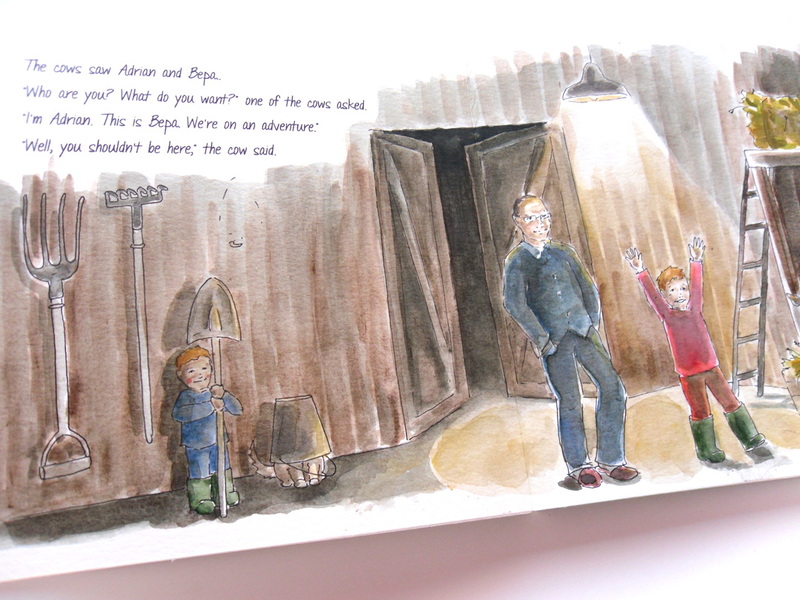 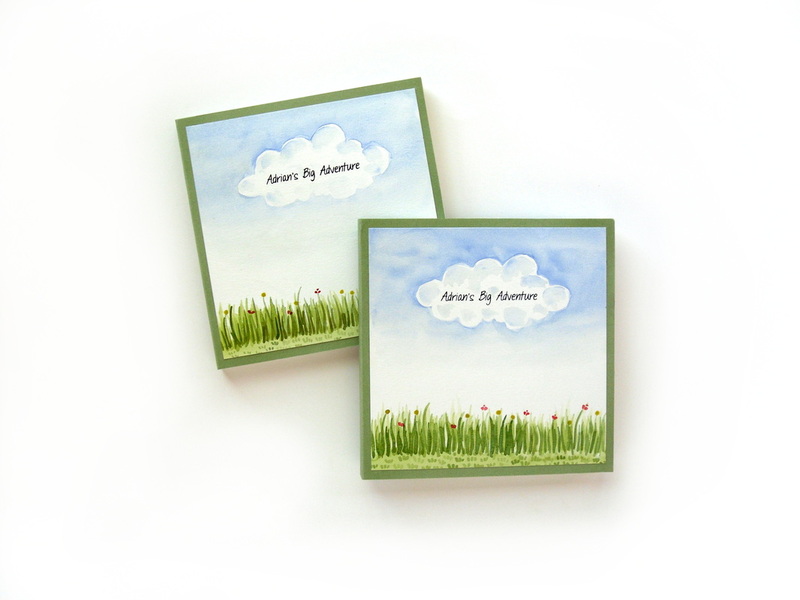 "Adrian's Big Adventure" was commissioned by Holly, the mum of Adrian and Theo. Holly's father wrote a sweet story about the boys on an adventure. 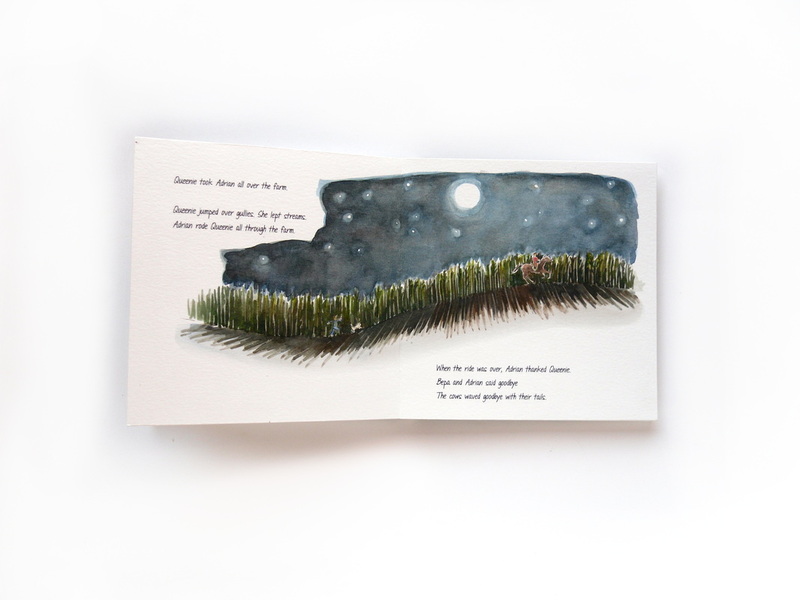 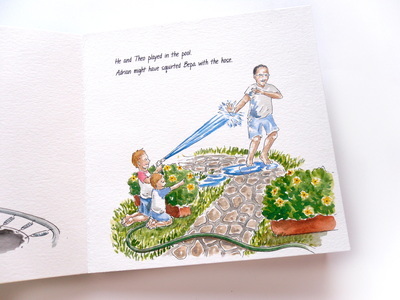 The story revolved mostly around Adrian, so we hid Theo and the family dog in each of the illustrations. 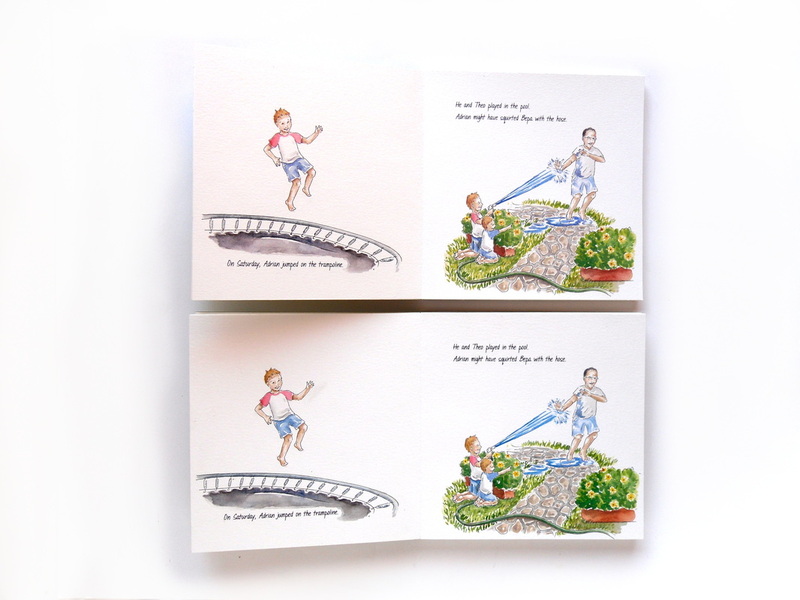 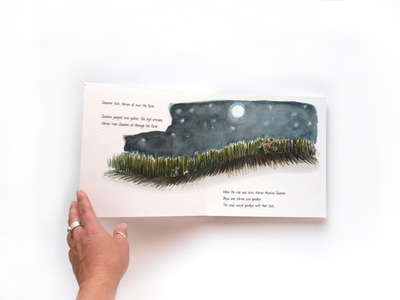 Once I illustrated the story, I created a clone of the first book then bound both separate books.